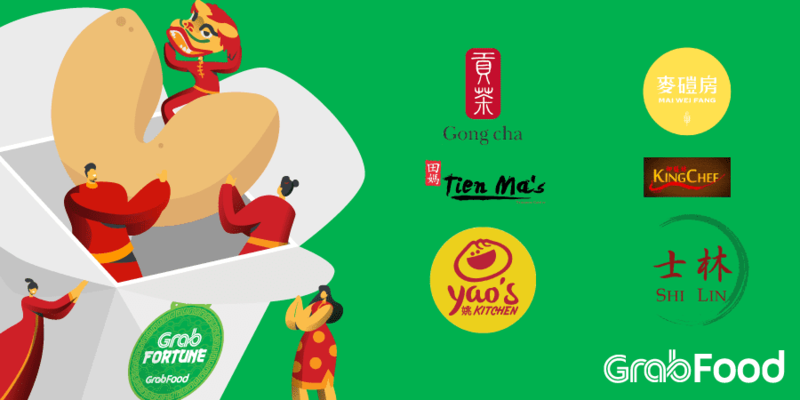 Celebrate the Year of the Pig with your favorite Chinese dishes from GrabFood. From February 4 to 8, get lucky and receive a *FREE Fortune Cookie 🥠 for a minimum single receipt transaction of PHP350 (delivery fee not included)) via GrabFood. Satisfy more of your cravings with FREE GrabFood delivery by using the *promo code CNYCRAVINGS. *Promo is valid only at participating merchants. See terms and conditions below. Stocks per participating merchant is limited. Available only until supplies last. Valid only at participating merchants. Valid for a minimum single receipt transaction of PHP350 (delivery fee not included). Only one (1) freebie will be given to GrabFood customer per valid transaction. Promo entitles the user to free delivery.